Magento vs WooCommerce is a highly debated topic among e-commerce fulfillment companies everywhere. These are two of the most popular platforms available today. If you are an aspiring entrepreneur interested in using one of these two online business hosts, it may be a good idea to evaluate your options. Magento and WooCommerce are both excellent sites. However, one may be better for you than the other. Below, we have listed the top three benefits of Magento and WooCommerce so that you can decide which one is best for your budding business. One important consideration: both Magento and WooCommerce are open source programs. This means that they are available for free. It also means that you can build upon both platforms. This is helpful to customize the e-commerce software to meet your business needs. Open source e-commerce software also provides the benefit of a very helpful community to interact with should you have problems arise that you need help with. Both WooCommerce and Magento are open source, so this is one consideration you do not have to worry about. The first benefit of the Magento platform is that it is a completely dedicated service. Unlike WooCommerce, which is a plug-in associated with WordPress, Magento is a fully fledged e-commerce site that allows you to develop your online business from scratch. If you are interested in building your e-commerce store on a specially dedicated platform, Magento may be the one for you. Especially if you want to collect unique business intelligence data. One major benefit of WooCommerce is that it is great for beginners. Because it is hosted by WordPress, WooCommerce is easy to use for anybody, while Magento may require some prior programming knowledge. If you want to be able to dive head first into your new business without hiring a developer or web designer, then you should consider WooCommerce as your first option. Although it can be difficult to learn to use at first, Magento ultimately benefits from being a more complex, dedicated service because it offers greater flexibility. With Magento, you can completely redesign your site and add useful e-commerce plug-ins from anywhere to provide maximum online privacy to your customers. If you want something that is completely flexible, Magento may be the e-commerce platform for you. While the flexibility of Magento is great, WooCommerce’s connection to WordPress comes with many benefits. First and foremost, there are a plethora of plug-ins that make redesigning your website easier than ever. Everything is completely integrated with WordPress so you can easily use the blogging site as an extra boost for your website’s SEO. This is definitely something to consider if you want a simple platform that is full of useful tools. If you run or plan on running a larger business, Magento may be the best Salesforce competitors choice for you. Their dedicated service is designed for bigger e-commerce retailers. Magento requires a little more maintenance and server power to operate, but when it runs smoothly it can be a much more effective platform with big stores. However, Magento is also scalable, so it works just as well for smaller businesses that hope to grow. WooCommerce has the added benefit of being less expensive than Magento. Both sites operate under a “freemium” model. However, the upfront cost of creating your website is cheaper with WooCommerce. Additionally, since WooCommerce is so easy to use, you may also save on online coding classes or having to hire someone to help build the site. If you are interested in keeping your e-commerce operation costs down, you should consider using WooCommerce. 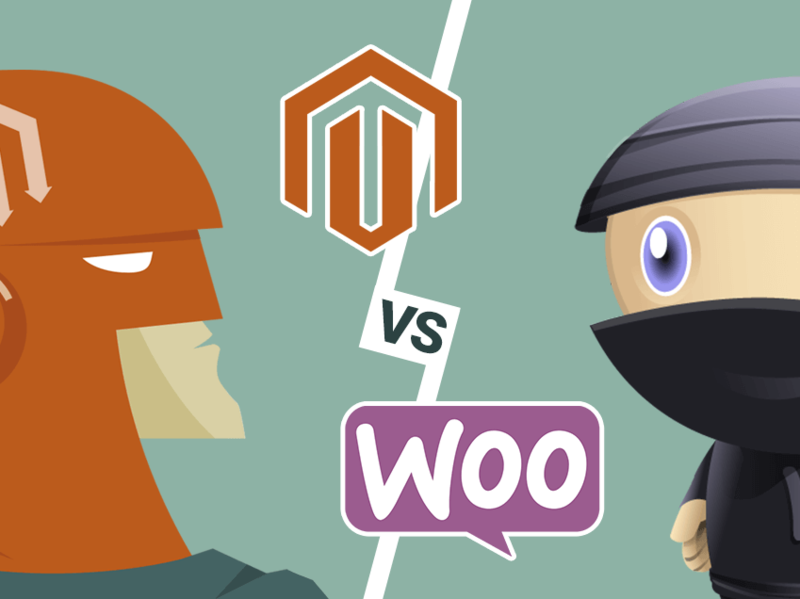 The Magento vs WooCommerce debate has no clear-cut winner. Both e-commerce platforms are excellent for different reasons, but neither is ever the reason why startups fail. If you are a larger company willing to completely customize your site from scratch, you may want to consider Magento. If you are a beginner with little programming experience, WooCommerce may be the one for you. Consider each of the benefits above to make the best decision for your business.